In an earlier post titled “Making Green Infrastructure Common Place” we discussed the recent release of Philadelphia’s $1.6 billion dollar “Green Cities Clean Waters” Plan. Its thrust is to transform over 4,000 acres of impervious areas within the City’s Combined Sewer System to green space over the next 20 years through the use of green infrastructure strategies. This would involve converting over 34% of all existing impervious areas. Of this, the conversion will primarily be made on public property and right-of-ways. 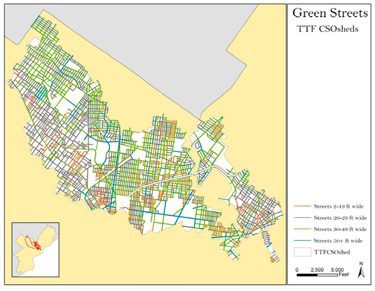 Green streets, the most widely used management tool, will comprise nearly 38% of these improvements (see graphic). 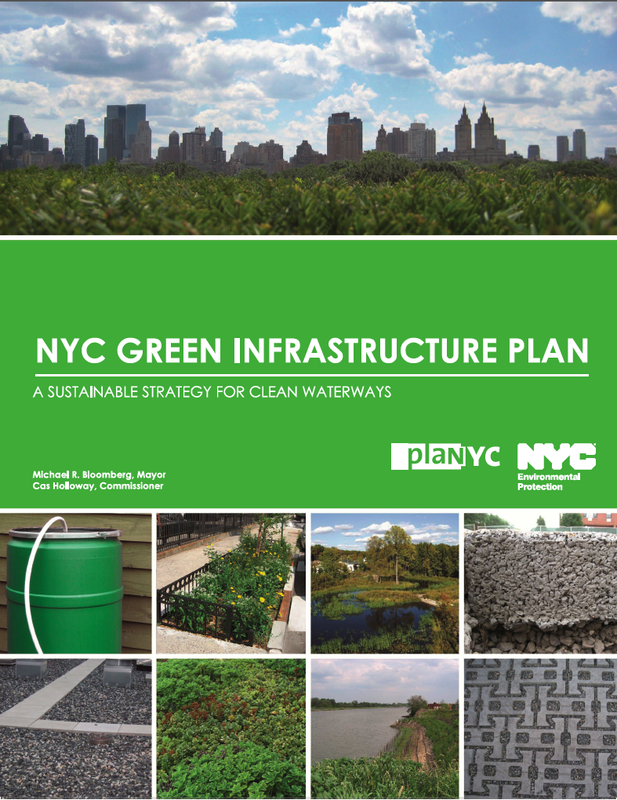 The report claims this is “the largest green stormwater infrastructure program ever envisioned in this country”. While green infrastructure has been utilized and proven in many parts of the country, the sheer magnitude and commitment of the city is a radical departure from the conventional approach to stormwater management practices. So why did Philadelphia decide to rely so heavily on green infrastructure as a means of reducing overflows in their CSO system? Quite simply it was cheaper, significantly cheaper. The plan estimates over the next 20 years the plan is to be implemented, the “triple bottom line” benefits (social, environments, economic) of the plan alone will add up to a present value of $2.2 billion dollars. The following is a breakdown of the benefits that comprise this figure. So instead of employing conventional underground infrastructure that is one-dimensional, and is estimated to cost $16 billion, the city has decided that implementing a multi-dimensional strategy with multiple benefits made more sense. But not only is it more desirable, it is politically easier to implement because it makes the city a more beautiful and healthy place. So if you are going to have to spend the money anyway, why not make it count. The shortcomings of the conventional “tanks and tunnels” approach were not only that it exceeded the EPA’s affordability standard for stormwater management (2% of median household income), but it also did not address water quality issues and could require green infrastructure tools anyway to meet these requirements. In addition, the report points out that the conventional solution isn’t aligned with the EPA’s broader goals of sustainability, reduces streams baseflow thereby damaging the resources that is designed to protect, and doesn’t offer any secondary triple bottom line benefits. Furthermore, since the conventional solution is not delivered incrementally it is not flexible and does not offer any benefits immediately. While conventional infrastructure has its place, the combination of the two can play a significant role in addressing many of the issues facing our cities. It is critical that we continue to move toward making these strategies common place. By doing so we can make our cities healthier and more beautiful for all of us to enjoy, while at the same time responsibly managing our stormwater. Getting more for less is an approach almost everyone can appreciate. Why wouldn’t you want to get the most out of your investments? 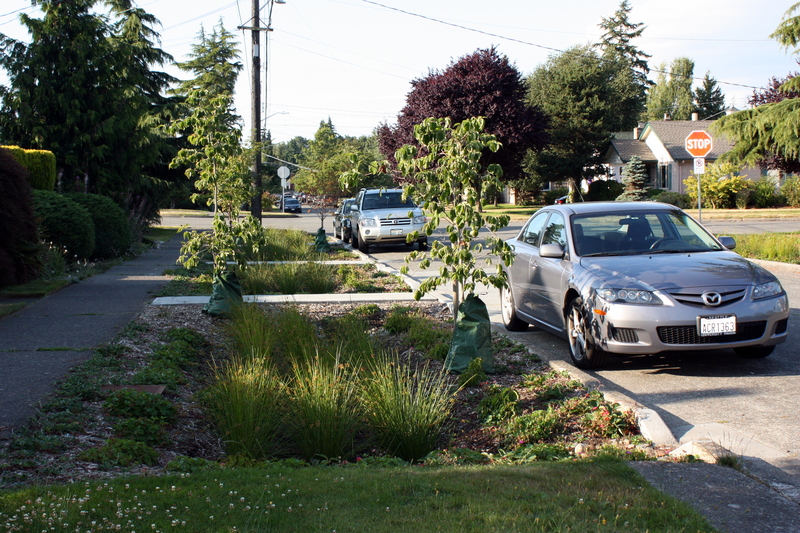 Appropriately applying green infrastructure in ways that effectively addresses critical stormwater issues while creating a more beautiful and economically vibrant community is common sense. Unfortunately, it isn’t common place. As the use of the available sustainable site tools and technologies continues to grow, it may not be long before green infrastructure is the conventional approach to stormwater management. With the Release of their “Green Cities Clean Waters Plan”, Philadelphia joins a handful of cities across the Country that have committed to green infrastructure and seek to institutionalizing it throughout the city. Philadelphia’s plan published last September sets forth a bold plan to invest $1.6 billion. Of this total 62% ($1 billion) of it will allocated directly to green stormwater infrastructure. Another 18% ($290M) will directed to stream corridor restoration and preservation and 20%($320M) will address wet weather treatment plant upgrades. Over the next few weeks we will take a closer look at Philadelphia’s plan. At over 3,000 pages, there is a lot of information to sift through. In addition, we will also look at Pennsylvania Environmental Council released a report titled “Implementing Green Infrastructure: Developing a Winning Strategy to Fund Philadelphia’s Ambitious Plan” that looks at the economic benefits of the plan and how other cities across the country are funding their stormwater initiatives. Together they are an impressive step forward for the City of Philadelphia and the Nation.